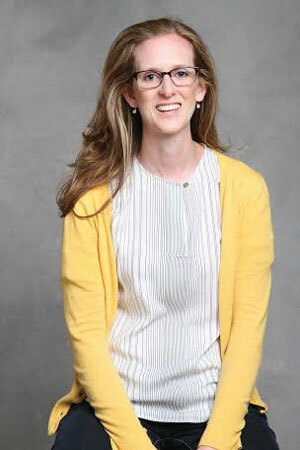 Deputy city attorney Michelle Masoncup will serve as the interim corporation counsel while the city searches for someone to replace Grant Farrar, city manager Wally Bobkiewicz said in a news release. Masoncup will assume the position Monday and will continue to serve as the deputy city attorney. Bobkiewicz said he hopes to find a replacement by May. Masoncup will participate in the search process, but Bobkiewicz said she has indicated she is not interested in becoming the full-time corporation counsel. Farrar left the position Friday after taking a role at GovHR USA, a firm that provides “executive recruiting and interim staffing solutions, management and human resource consulting” to local governments and nonprofits, according to its website. Bobkiewicz told The Daily that Farrar will lead a regulatory practice for GovHR USA, which is run by former Evanston human resources director Joellen Earl and her partner, Heidi Voorhees. When Farrar announced his departure in February, Bobkiewicz said he played an important role in helping dissolve the Evanston Township. Voters elected to dissolve the township — which provided general assistance and tax advice for residents — in a March 2014 referendum. Masoncup said she will most likely serve on a city employee panel during the interview process. Masoncup has worked in the city’s law department since 2010 and assumed the role of deputy city attorney in 2013. Her area of practice includes land use, zoning, contracts and legislative drafting, according to the release. She said the corporation counsel advises City Council on matters that affect the municipal corporation, including labor negotiations and land use issues. The counsel also gives aldermen advice during public meetings. “Representing the municipality means that you practice many areas of law so on any given day you need to give guidance to all of those issues and more,” Masoncup said. Before working for the city, Masoncup worked in private practice for three years, representing commercial real estate developers and financial institutions. Bobkiewicz said Masoncup will coordinate the work of the law offices until the city finds a replacement for the corporation counsel position.